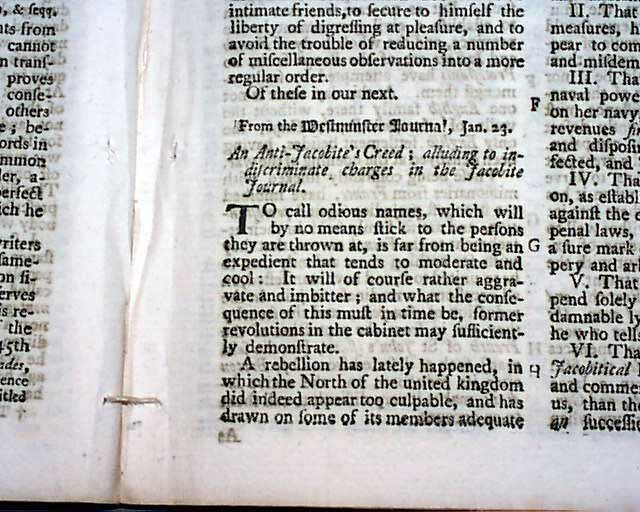 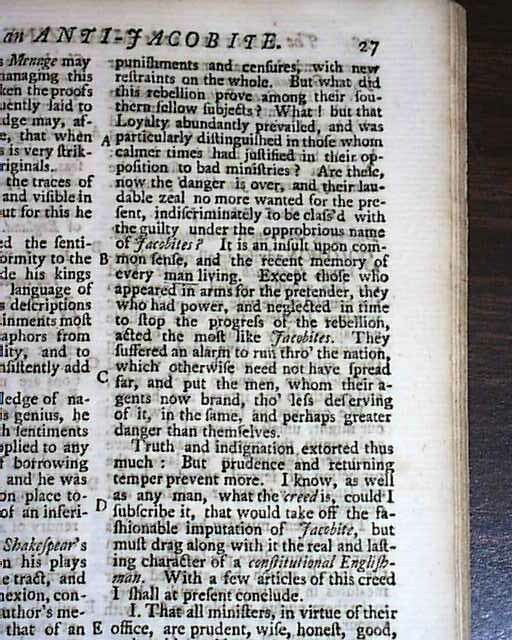 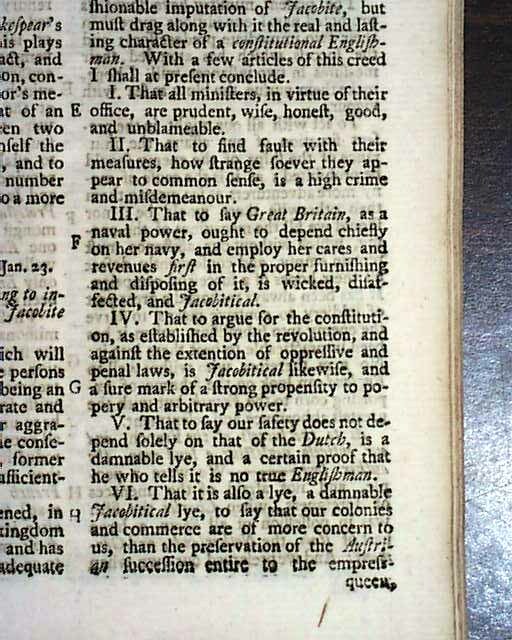 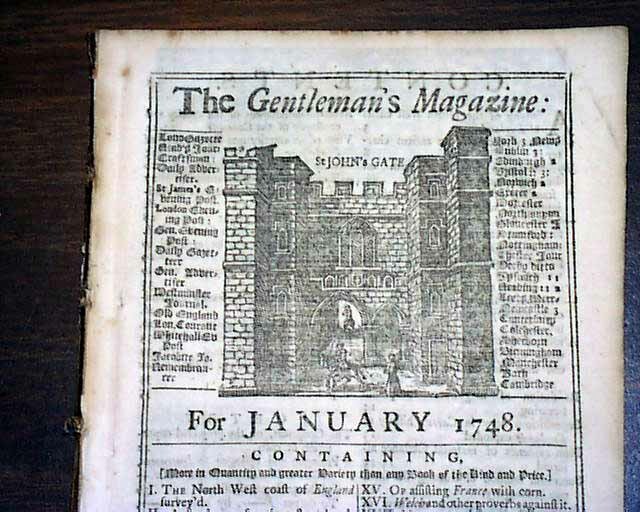 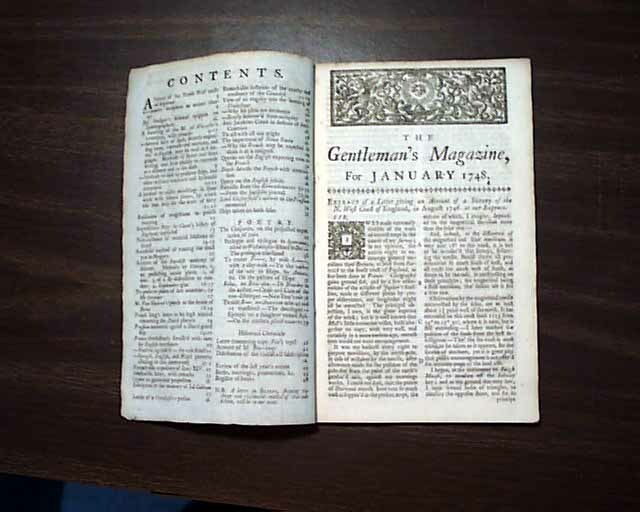 Item # 659531 THE GENTLEMAN'S MAGAZINE, London, January, 1748 The issue begins with an: "Extract of a Letter Giving an Account of a Survey of the N. West Coast of England..." with a small print on page 2 (see). 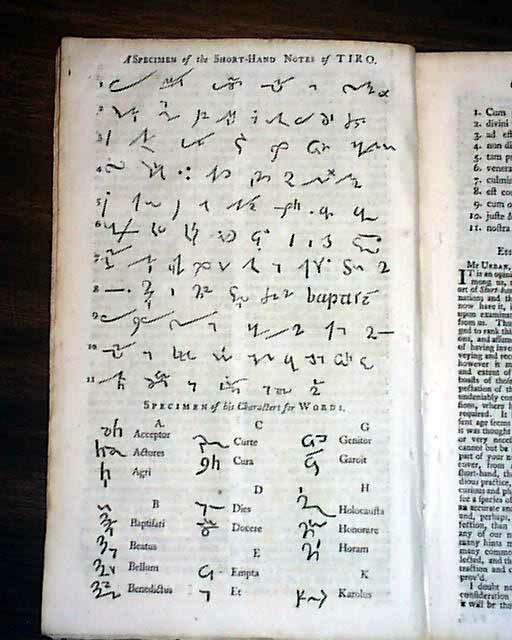 Also in this issue: "Of the Invention of Shorthand" with a full page of characters of words (see); "An Anti-Jacobite's Creed, Alluding to Indiscriminate Charges in the Jacobite Journal" "The Importance of Nova Scotia" and much more. 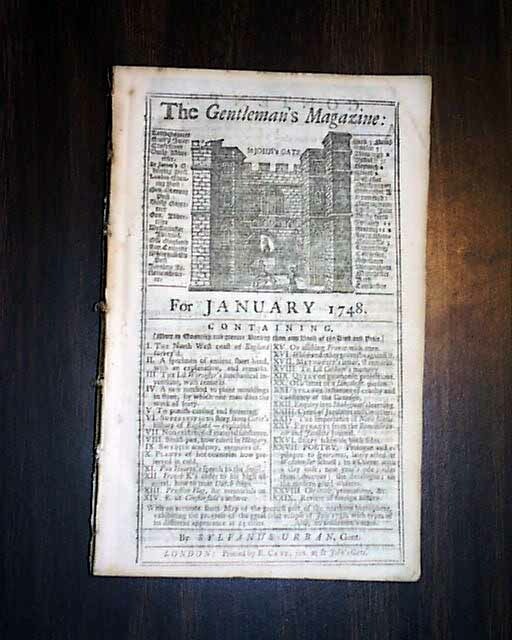 Near the back is the "Historical Chronicle" with the latest news reports of the day. 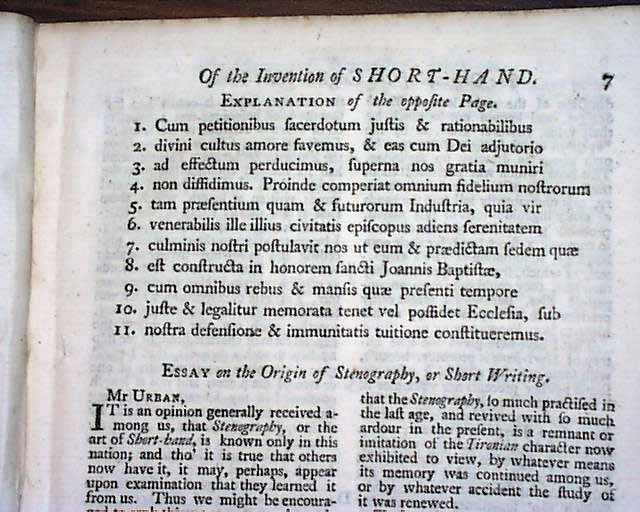 Note: The "map of the world" mentioned on the title page is not present.